Is The Maths Factor Any Good for Dyspraxia or Dyscalculia Kids? My daughter is in year 4, soon to be year 5, and has maths lessons with the year 1s. That is not an easy sentence to type. She has dyspraxia and dyscalculia, and I feel like we’ve tried everything. We’re going back to basics with the Plus 1 book, which is working well, but let’s face it, no one wants to be doing numbers in front of a book all the time. 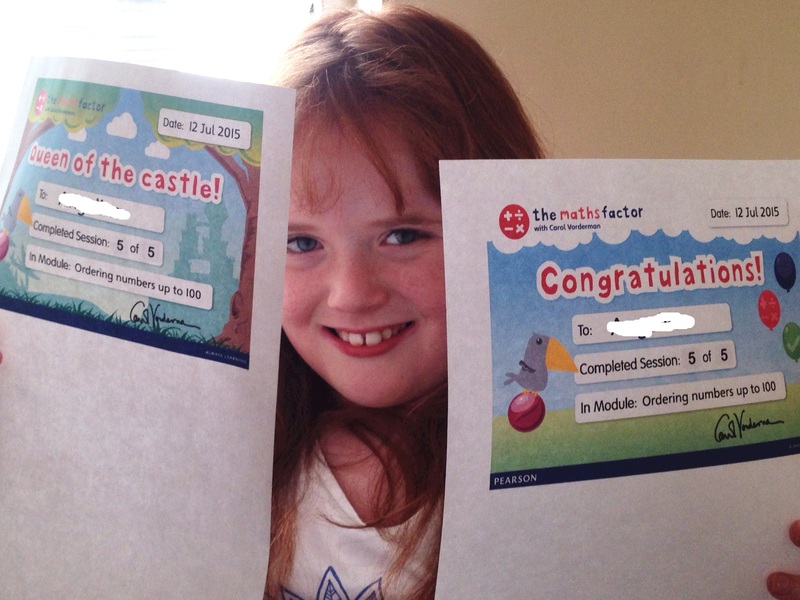 Her school subscribes to Mathletics, an online maths thingy, but I’ve never been a fan. It’s good at testing but not teaching. So along came Carol Vorderman with The Maths Factor. 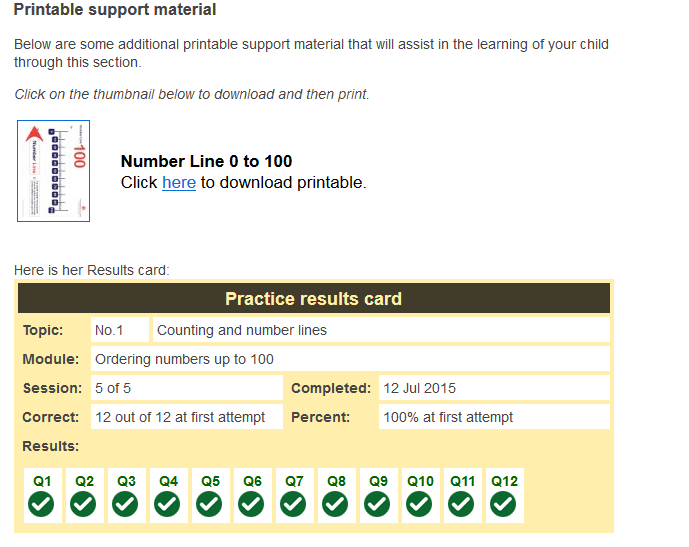 As Carol is a famous maths whizz, I really didn’t hold out much hope that her online maths programme would help my maths-muddled child, but hey, it looked visually appealing–always a plus for dyspraxics–and was worth a try. Jump right ahead to the conclusion, if you’re short on time. Or read on for the full review. After signing in and putting in your child’s age, they get automatically started at a suitable level of learning for their age. The good news is that it’s easy for you to go through the topics and start at a more suitable place for your dyspraxic or dyscalculiac kid. 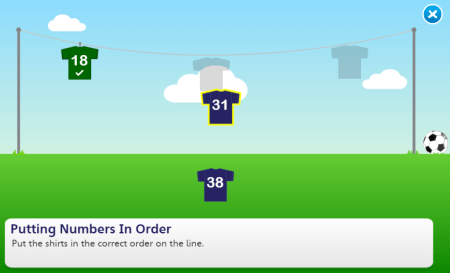 We went right back to basics with ordering numbers to 100. Your child can also set up their own cartoony avatar and choose what they wear etc. My little one liked doing this and it makes them more a part of it. Each topic is broken down into modules, and each module into sessions. In other words, everything is broken down into really small steps–hooray! Along the way, your child earns marbles that can clearly be seen at the top of the screen. And the more progress your child makes the more games they unlock on the way, so there’s another motivating factor too. 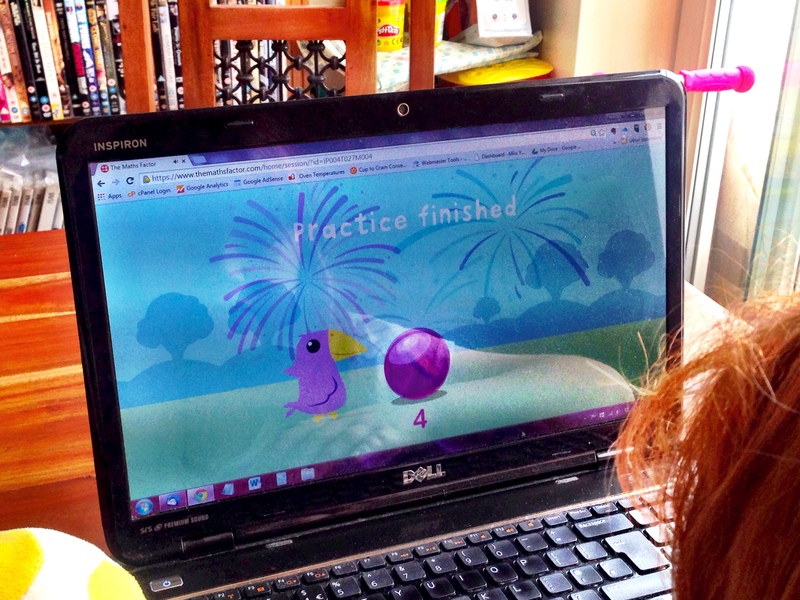 The games, of course, are maths games, but my daughter still seemed to find it fun. This is separate to the sessions, so the games can be played at any time once they are unlocked. At the end of each session they also earn a certificate, which has their name, topic, and results printed on it, and is customisable: Congratulations! Queen of the Castle etc.. We just printed out the certificate at the end of each module, rather than each session, but maybe this will change as we start to find the subjects more challenging. There could have been 5 certificates just for the ordering numbers to 100 topic. Although I sat with my little one to see how she was getting on, you could easily leave them to it. You get email updates after each session and a results card so you can see how many they got right, if they got them right the first time etc. At the end of the module you get another email, which also tells you what the next subject is so you can prepare. There’s some advice in the email on how to help your child as well as a video from Carol on how to help your child away from Maths Factor, and some printables to help them along their way too. This is all subject-targeted and not just general stuff–for each module. There’s a lot of stuff! It teaches your child–it doesn’t just test them. Your child has the opportunity to change their answers around before they hit “go”–very good for confidence and to promote analytical thinking. Several times my daughter realised something was wrong and then had the chance to change it. There are no time constraints–so your child isn’t hurried at any point. Carol’s video lessons are really good. They are really broken down into small steps. There are regular certificates to nourish the achievement levels of your child, and these are customisable. I love the great parent feedback and information on how to prepare for the next module. Games are unlocked the more your child progresses. It’s easy to go back and do anything again. It’s really visual and each module is very different to keep your child’s interest. There are lots of printables for learning away from the computer. The Maths Factor can be accessed on the iPad. There are lots of searchable videos to help you find a particular topic if your child is doing something different at school. There are clubs within the Maths Factor, such as summer clubs, algebra, times tables, and revision. Your child can earn camp badges and gold stars within these clubs. It’s all included–doesn’t cost anything extra. The certificates can’t be printed out in landscape mode, so there’s some chopping to do to make them look presentable. It’s a monthly payment rather than a one-off payment, but for some this may be a pro as it makes it more affordable. There’s a discount code below for you to try the first month for £1. Is it Worth Subscribing to the Maths Factor? Yes, I honestly think it is. Progress for my little dyspraxic-dyscalculic wonder is always going to be slow, but I can see definite progress, and she really enjoys the Maths Factor activities–this in itself is an achievement. I like that there were lessons and not just constant questions and tests. The games really helped to break up the learning into fun segments too. Unbelievably, she actually spends around 40 minutes just concentrating on maths! I can’t tell you what an achievement this is 🙂 I mean, she wriggles and fidgets and checks the time when we are doing any other maths activity. 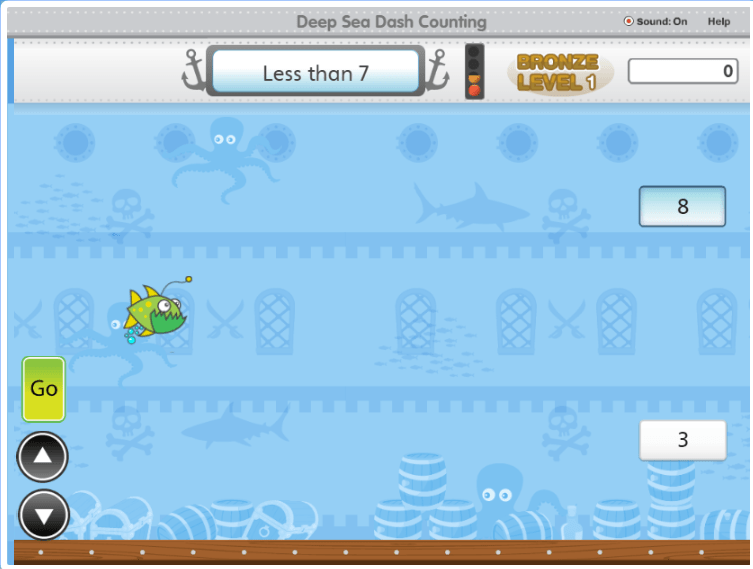 I really think that the Maths Factor is ideal for kids with dyspraxia or dyscalculia. If you decide to give it a go, then please use the discount code WF-26402-FR when joining to get your first month for £1. You can click here to sign up. I was not paid by the Maths Factor or anyone associated with them to write this review. I funded the subscription to the Maths Factor myself, and continue to subscribe. My opinions are genuine and are my own. If you use the above discount code, you are also helping Dyspraxia Kids as I’ll get a credit on my Maths Factor account, which means I can put that money towards web hosting costs and keeping the Dyspraxia Kids website going. Struggling With Maths? We recommend these products.